Nowex Translations was established to provide high-quality localization solutions for customers world-wide. 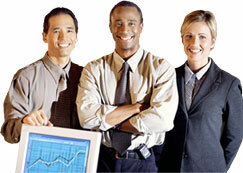 Nowex Translations offers Integrated Globalization Services. By working with us customers are assured of fast time to market and enjoy the convenience of getting a full range of services from one provider. We offer consulting services with respect to globalization, multilingual translation, internationalization, software localization, and localization testing. Our customers care about money and time saving opportunities and therefore Nowex Translations offers services our customers need to efficiently save time and money without traveling from place to place. Our "4 in 1" service package includes: professional translating, graphic (DTP) project realization, printing, and product shipping all over the world. Nowex Translations helps its clients to generate new value by providing them with a full range of globalization services. Our flexible approach makes it possible to assemble the particular combination that suits your specific needs. - Offset and digital printing.